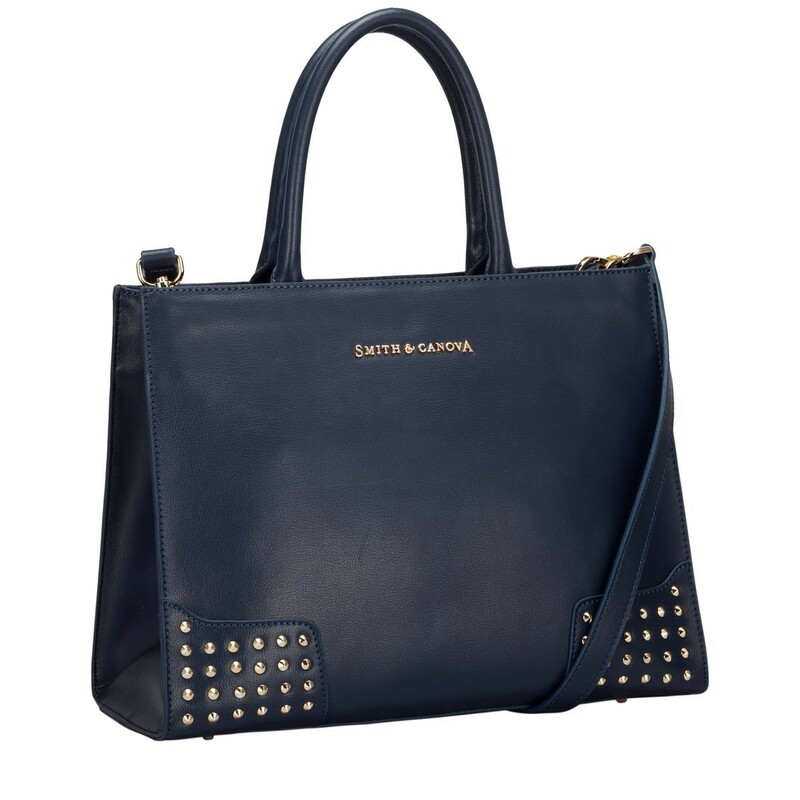 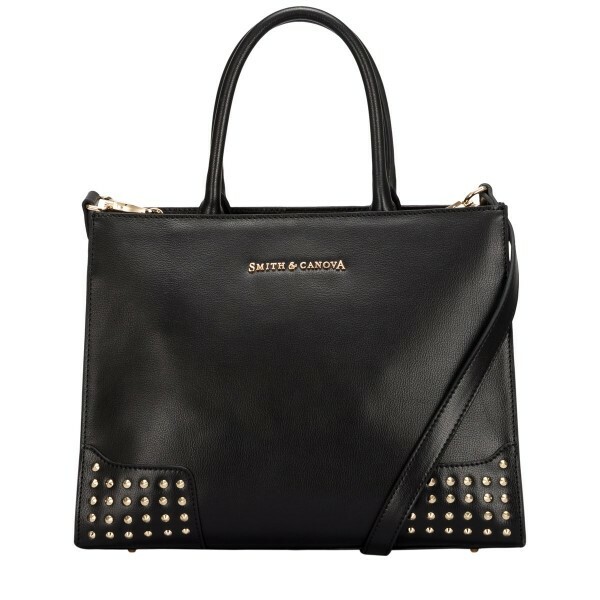 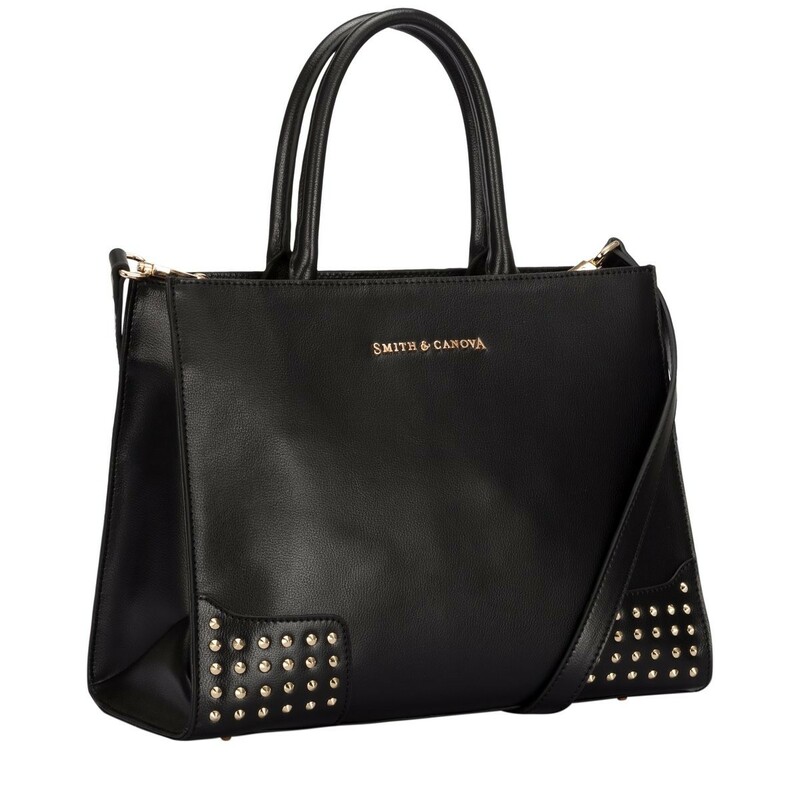 This glam tote bag, part of the Dahl collection, is a stunning masterpiece with corner studded detail. 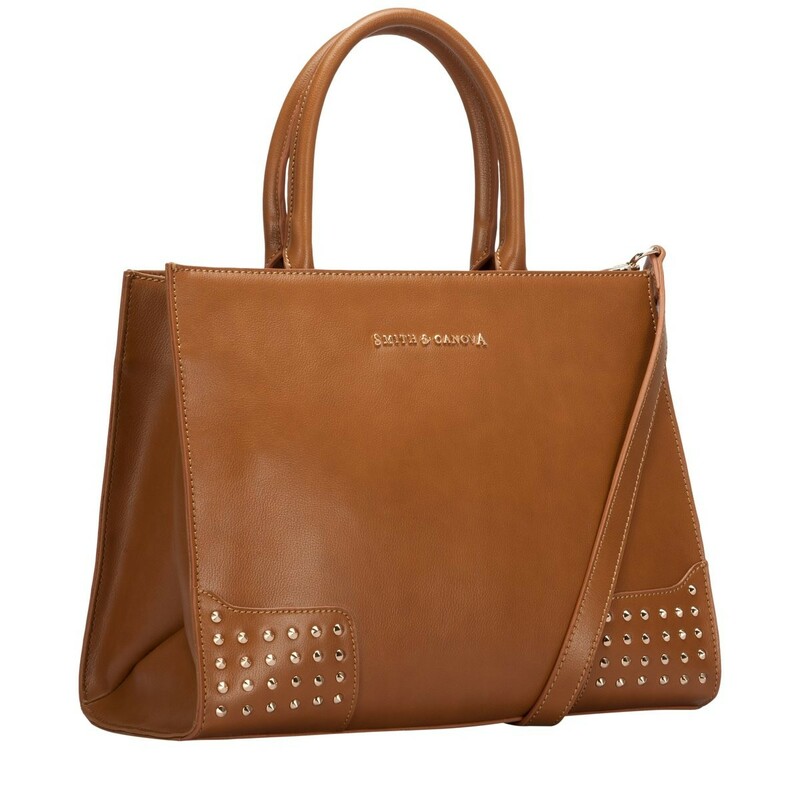 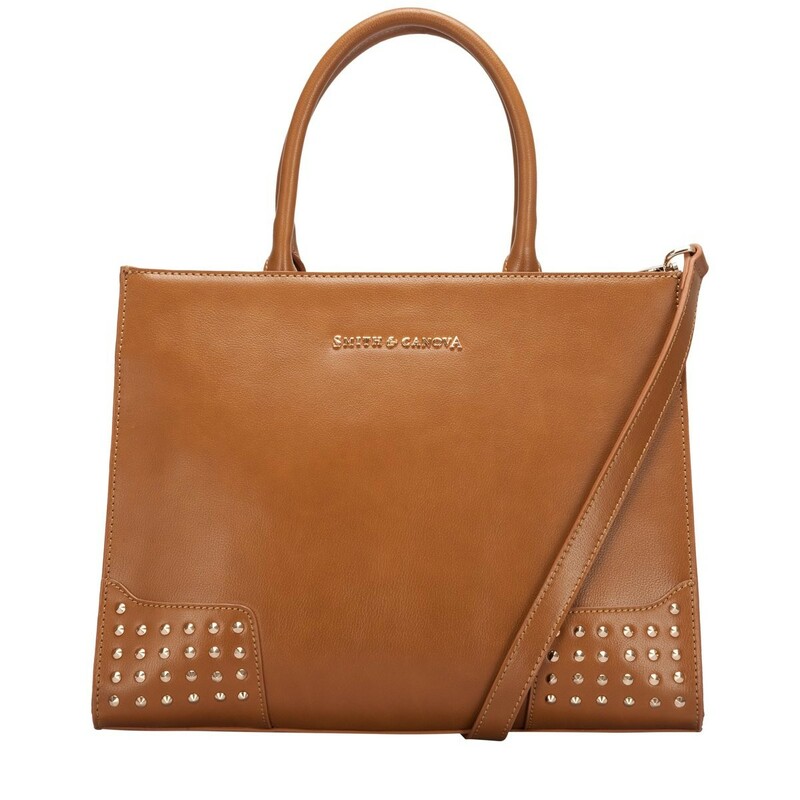 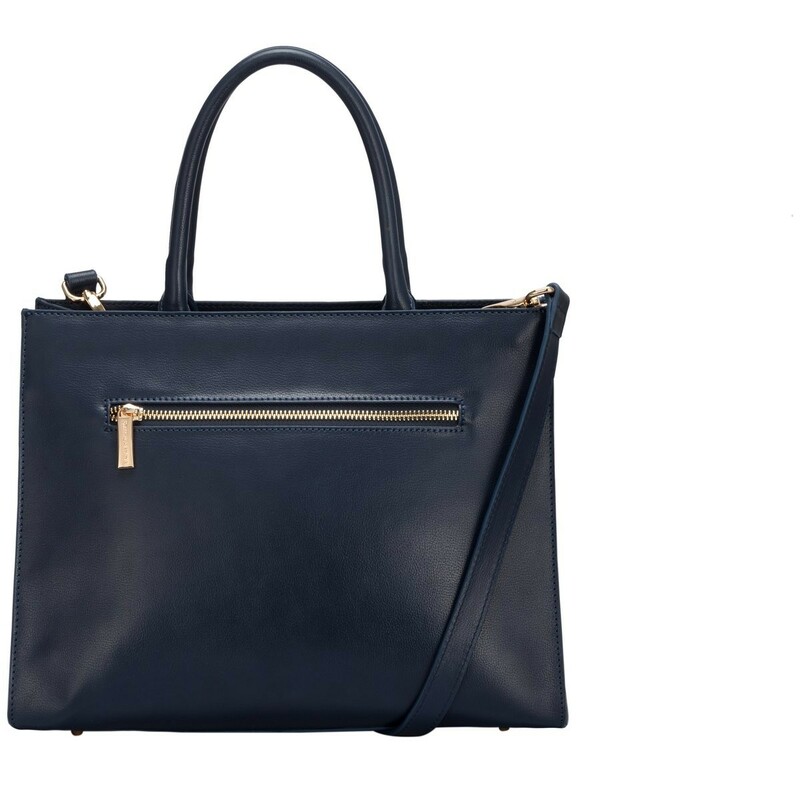 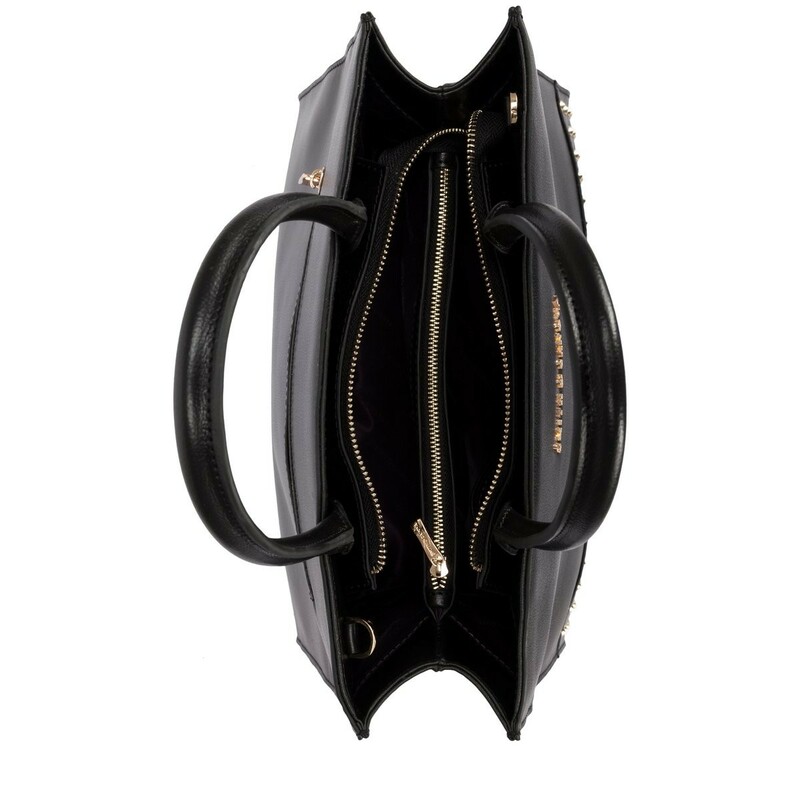 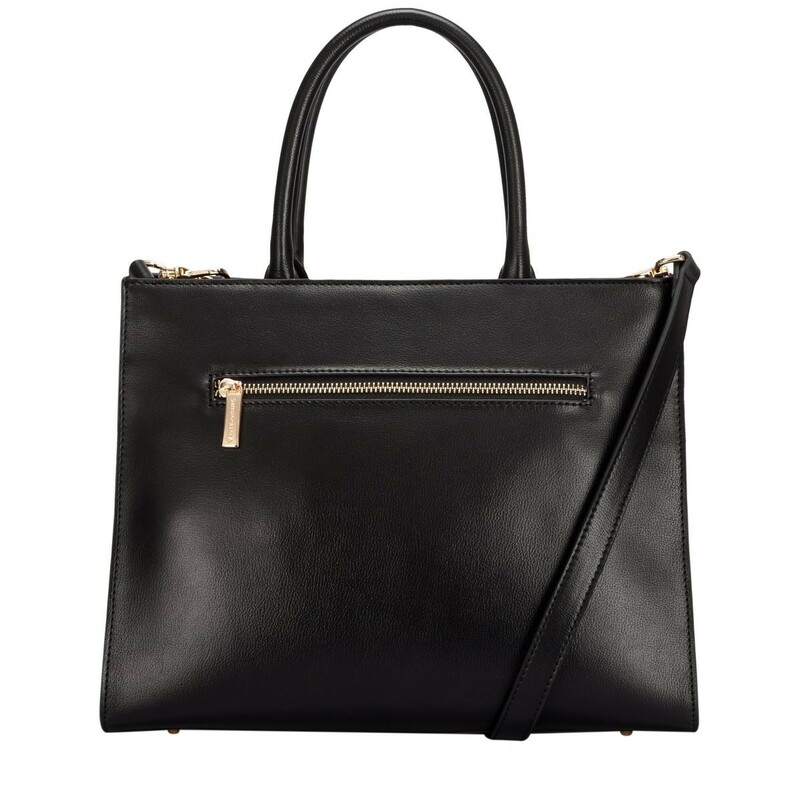 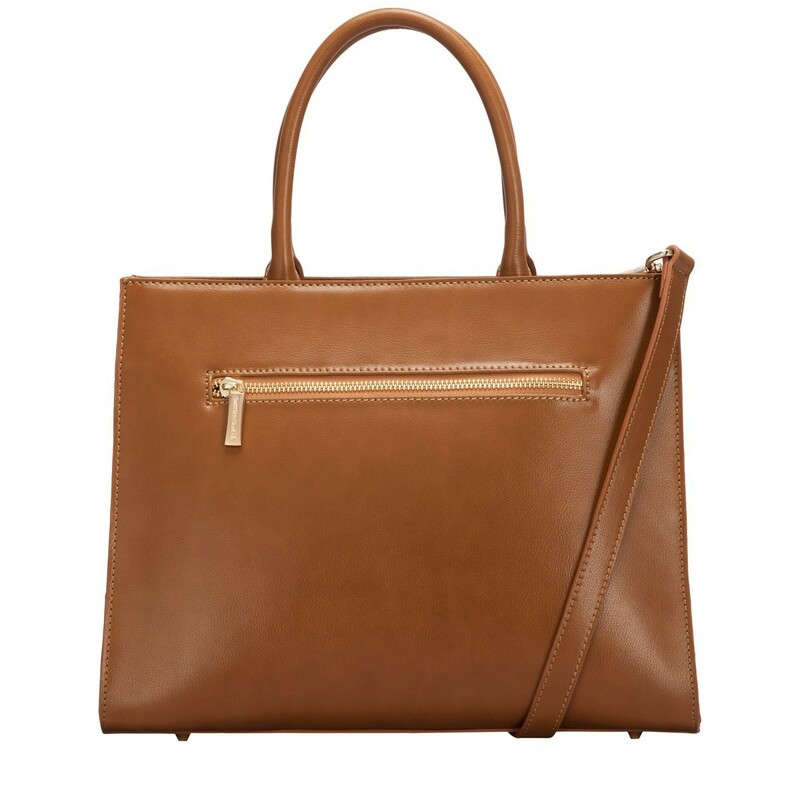 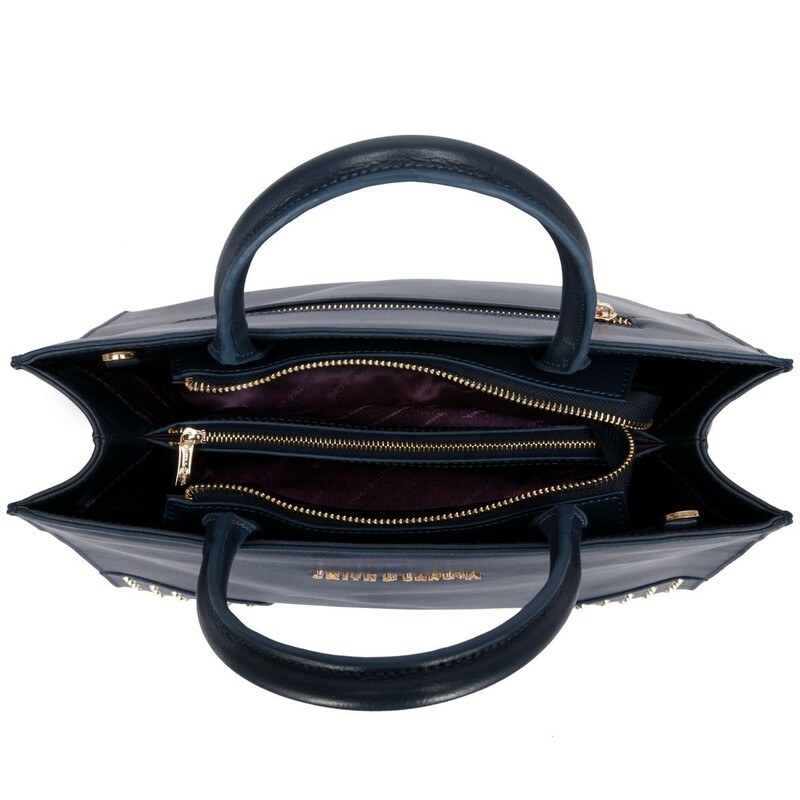 Crafted with a lightly textured leather, this tote ticks all the right boxes to help complete a winning outfit. 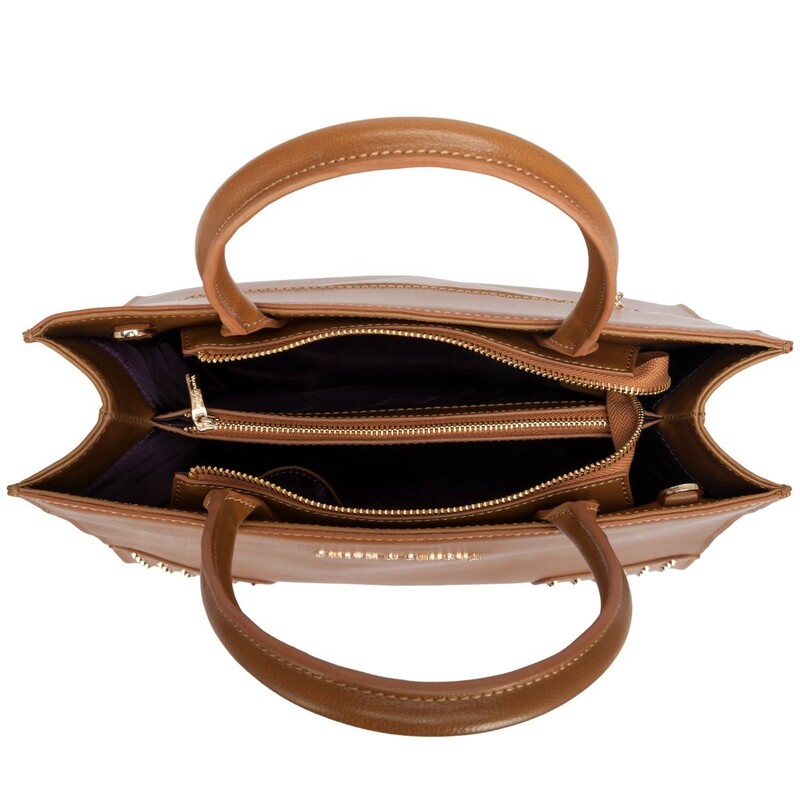 The spacious interior means you can store all your valuables and the clever compartments allow you to organise them easily. 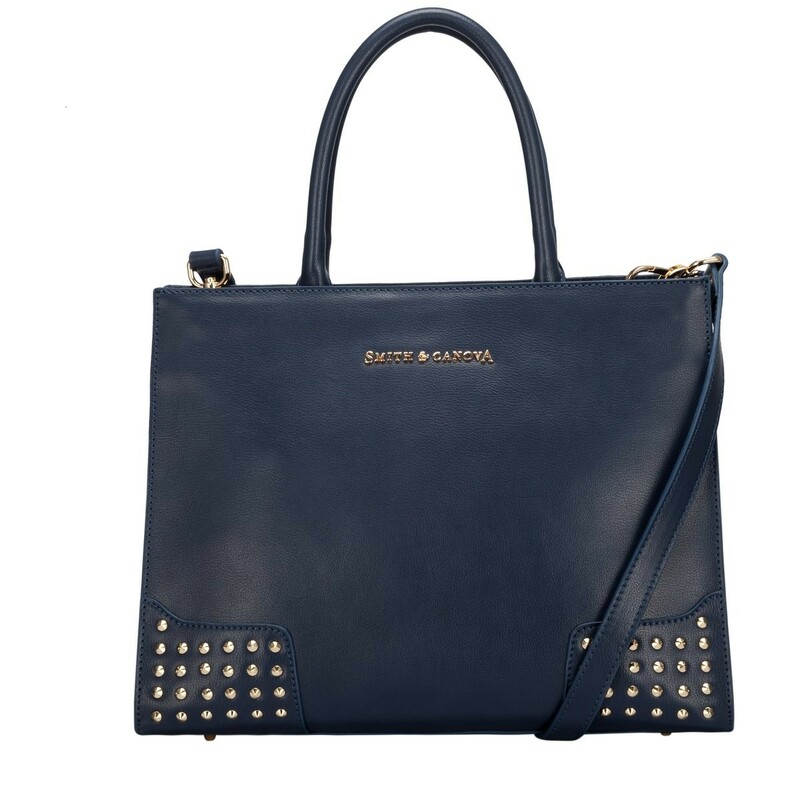 Complete with the Smith & Canova gold script logo to compliment the gold stud detail.